Diversity is an inclusive community of people with varied human characteristics, ideas and world-views and whose interactions both benefit and challenge each other to grow while making the community better. By definition, NC State reflects diversity because it comprises a community of individuals from varied backgrounds and demographic categories; it encourages, accepts and values a diversity of people and ideas; it seeks to promote an environment where equity, respect and understanding represent the norm in the campus climate; and, it seeks to prepare entrepreneurs who are effective citizens of a global community. We will know that we have achieved authentic diversity when all four of these objectives are fully realized. NC State University was founded as an all-white, all-male institution in 1887 and remained so until it was forced by the Civil Rights Movement, the courts and other events to admit non-white students. In 1953, NC State admitted its first African American graduate student, and it was not until 1956 that the first African American undergraduate students were enrolled. For the next three decades, NC State was neither very accessible nor very hospitable to African American students. Now NC State is among the most diverse of the UNC campuses. 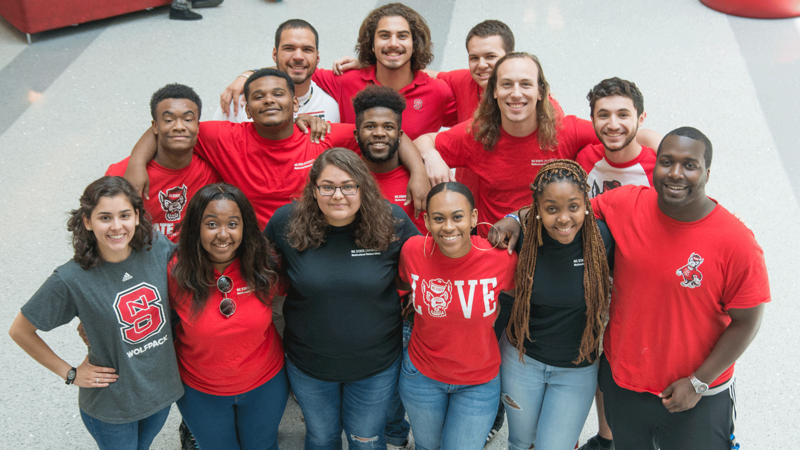 In the short 40 years since the civil rights movement, NC State has made significant progress in the admission, retention and graduation of minority students. Today, NC State is among the nation’s leaders in the graduation of African American students with graduate degrees in mathematics, science, engineering and technology (Black Issues in Higher Education, 2004). Since 1993, NC State has been recognized as one of the 100 best colleges for African American students (The 100 Best Colleges for African American Students by Erlene B. Wilson, 1993 and 1998). NC State is now a campus where everyone is welcome. See also Diversity on NC State University’s main home page.